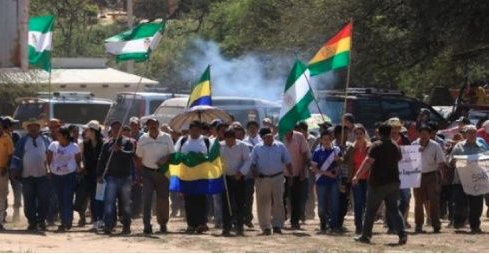 An inept BOLIVIA GOVERNMENT fails to find solution to GAS DISPUTE, generating only violence! LA PAZ – Bolivia’s government said on Thursday that it would not tolerate pressure from protesters amid an inter-regional dispute over the distribution of revenues from a major natural gas field. President Evo Morales’ administration made the remarks in response to anti-government protests that have brought Sucre, the Andean nation’s constitutional capital, to a virtual standstill. “We’re not going to tolerate pressure from anyone,” Vice President Alvaro Garcia Linera told members of the media at the presidential palace in La Paz. The southeastern provinces of Chuquisaca (whose capital is Sucre) and Santa Cruz, the country’s largest and most prosperous, are locked in a dispute over the precise location of a major gas field and the distribution of the revenue the project generates. 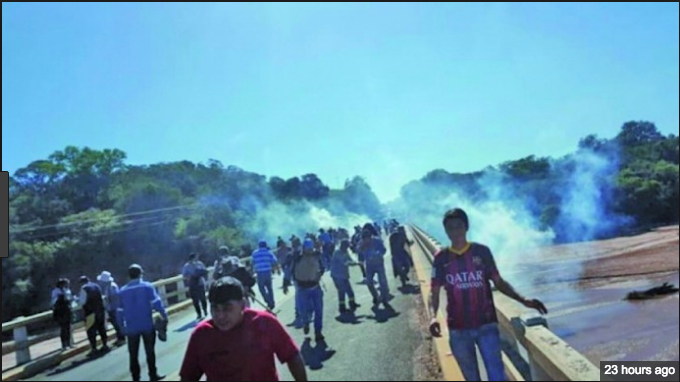 Protests in Chuquisaca promoted by civic groups have left that province virtually paralyzed for more than a week, with roadblocks in Sucre and blockades set up on highways that provide links to the airport and other parts of the country. The precise location of the gas reserves is to be determined in a technical study commissioned by Bolivia’s Constitutional Tribunal, the vice president recalled. 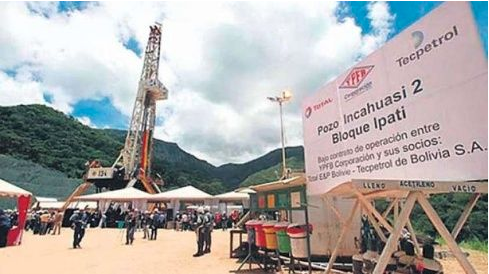 The Incahuasi gas field, which is being developed by a consortium led by French energy major Total, has reserves totaling around 2.2 trillion cubic feet and contributes between $4.3 million and $4.6 million in income monthly for Bolivia’s economy. A 2016 technical study determined that the field was located within Santa Cruz province, but Chuquisaca says the area in question is situated within one of its municipalities. The Constitutional Tribunal froze inter-governmental transfers of revenue generated by the field last December and ordered a new study to determine its exact location. I share the opinion that many political analysts have: the government wants to generate turmoil, wants to divert attention from the multiple cases of corruption, to divide people who oppose the delusional desire of evo to remain in power. Beyond the administrative and technical, legal aspects that exist in Incahuasi, I am struck by the clumsy management of the Government. It says one thing to Santa Cruz and says another to Chuquisaca, it has a double discourse, even the MAS authorities contradict each other. Governing demagogically does a lot of damage, the government wants to get along with both, but not with serious arguments. In large part, the conflict at the level that has arrived is the fault of the Government itself. The persecution that the governor Esteban Urquizu has regrettably suffered, the images are terrible, they are not people as they say of racist groups. It is annoying citizenship, indecisive people who have no party, from the opposition and officialdom. The MAS is losing ground in Chuquisaca but also in the rest of the country, in Santa Cruz. Not only the conflict of Chuquisaca, also with the cocaleros of Yungas, in Achacachi; the MAS is breaking down and eroding, and Incahuasi is the sign of the government’s clumsy and demagogic management in the handling of the conflict. The MAS reaps what it sows, and hopefully this does not result in confrontations. 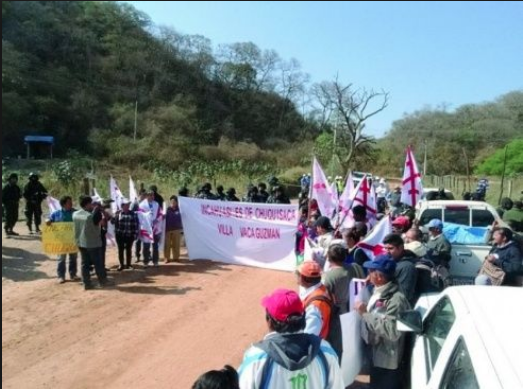 The management of the Government in Incahuasi is absolutely irresponsible.